Janelle Waite’s newly released “The Report” is an inspiring account of one woman’s journey to find the best path through life. “The Report” from Christian Faith Publishing author Janelle Waite is an enthralling narrative that examines one woman’s life-changing interactions with God during an unexpectedly impactful time. “The Report”: a heartening story of the author’s thoughts, expectations, and discoveries while searching for the best path through life. 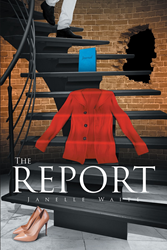 “The Report” is the creation of published author, Janelle Waite, a graduate of Southern University and A&M College. Published by Christian Faith Publishing, Janelle Waite’s new book illustrates one woman’s unwavering and steadfast faith in God; it also speaks of gratitude for the life the Lord has given to each and every one. This book mirrors the author’s honest sentiments during a nine-month special assignment for work, which made a surprisingly significant impact on Waite’s mindset, perspective, and life. View a synopsis of “The Report” on YouTube. Consumers can purchase“The Report” at traditional brick & mortar bookstores, or online at Amazon.com, Apple iTunes store, Kobo, or Barnes and Noble. For additional information or inquiries about “The Report”, contact the Christian Faith Publishing media department at 866-554-0919.